PHILADELPHIA, Pa., Dec. 15, 2015 (SEND2PRESS NEWSWIRE) -- Journey Sales, a leading provider of innovative customer engagement solutions for sales professionals, is pleased to announce that it won the Aragon Research Hot Vendor 2015 Award in the category of Sales Enablement. The Aragon Research Hot Vendor and Innovation Awards are given annually at the end of each year. "We are thrilled to have been named a Hot Vendor by Aragon Research," said Bill Butler, CEO, Journey Sales. "This recognition further validates our mission to improve the Salesforce(R) experience and empower firms to sell digitally by enabling sales teams to collaborate with their buyers in ways not previously possible." Journey Sales Smart Rooms are 100 percent native to Salesforce(R) and enable organizations to implement powerful sales methodologies such as the CEB Challenger(TM) Model. The product is cloud-based and can be personalized to align with each unique customer journey. Organizations use dashboards populated with rich Smart Room engagement data to objectively analyze buyer behavior to determine which opportunities have positive momentum and which ones require attention. The 2015 Aragon Research Hot Vendor and Innovation Awards ceremony took place on December 3rd at the Sofitel Hotel in Redwood Shores, California. Aragon Research is a technology-focused research and advisory firm committed to providing thought-leading strategic research and trusted advisory services. Aragon delivers high impact interactive research and advisory services to provide enterprises the insight they need to help them make better technology and strategy decisions. "We have incorporated a tremendous amount of selling knowledge into Smart Rooms," said Prit Kang, CTO, Journey Sales. "The Hot Vendor award substantiates the current functionality of the product, but I am also excited about our roadmap for 2016." Smart Rooms launched in 2014, are easy to deploy, and are available for download in the Salesforce AppExchange(R). Founded in 2014, Journey Sales is a provider of cloud-based solutions dedicated to improving the sales process through better alignment with buyers' needs. Journey Sales' flagship solution, Smart Rooms, helps sales professionals close more deals more predictably by enhancing customer engagement throughout the sales process and the customer lifecycle. Smart Rooms are native to Salesforce(R) and are used by customers in industries including high technology, insurance, and consulting. For more information visit http://www.journeysales.com/ or follow us at https://www.linkedin.com/company/journey-sales, and find us on the Salesforce AppExchange(R). * Photo Caption: Smart Rooms provide the journey customers demand and the engagement sales teams need. 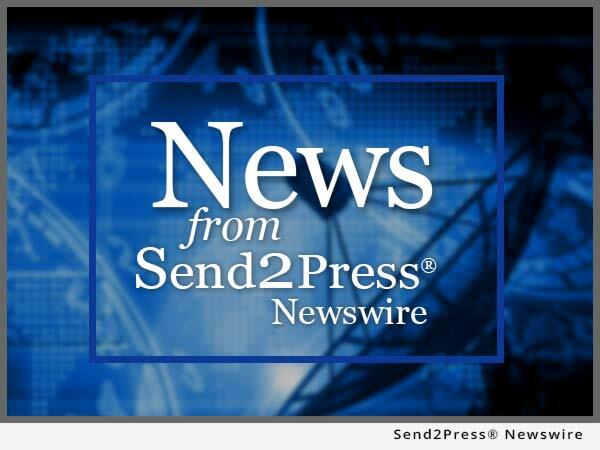 To view the original version on Send2Press Newswire, visit: https://www.send2press.com/newswire/journey-sales-named-2015-hot-vendor-for-sales-enablement-by-aragon-research-2015-1215-03.shtml.